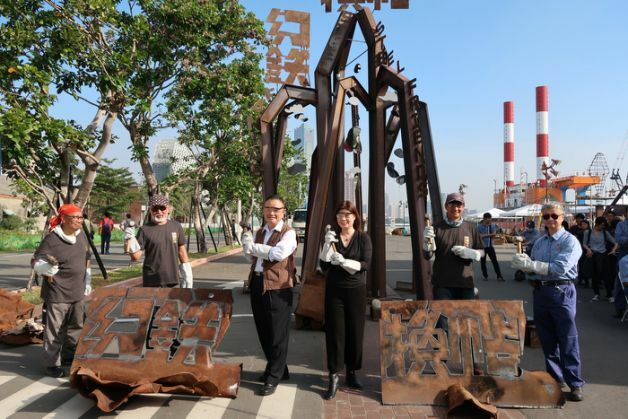 The liberation of steel and iron materials, and the diverse possibilities of introducing mixed media, will be the highlights of this year's Kaohsiung International Steel & Iron Sculpture Festival, which is taking place at the Pier-2 Art Center from Nov. 30 through Dec. 16. 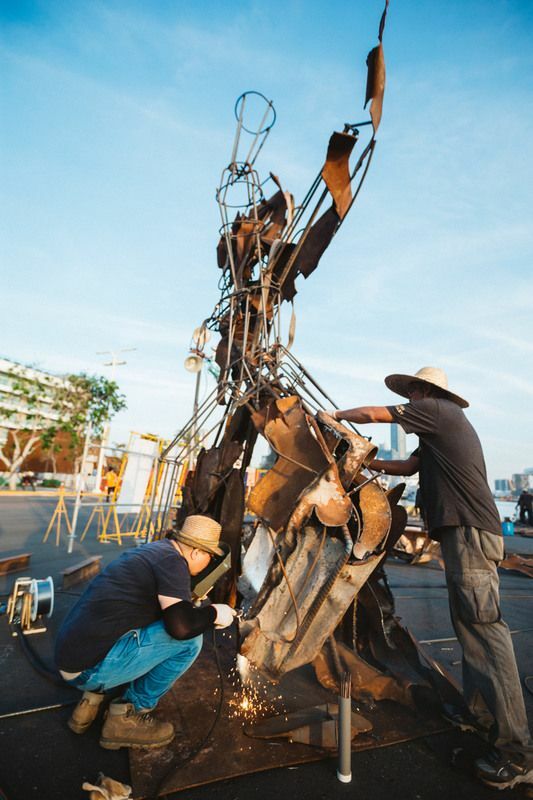 Renovated from abandoned harbor warehouses in 2000, Pier-2 became a base for the development of culture and arts in southern Taiwan, and the annual Steel & Iron Sculpture Festival was one of its earliest star attractions. Unlike previous editions, however, this year's on-site creation and installations will aim to transform the toughness of steel into the softness of natural materials and transmute perspectives. The invited artists will use materials such stone, wood, clay, and possibly glass in conjunction with steel and iron materials. The pieces created by the artists will have a base of scrap steel or iron making up at least fifty percent (50%) of the sculpture, infused with relatively soft and warm materials. This shall soften the cold edge of steel and iron, and bring in different voices from different cultural backgrounds. Artists looking to nature as a starting point of this creative endeavor include Japanese artists Kudo Masahide and Maiko Sugano; Dutch artist Dodog Soeseno; and Taiwanese artists Rahic Talif, Tafong Kati and Roby Swana, Chang Ho-min, Wang Wei-ho, and Cheng Hung-nan, who all specialize in working with diverse materials while employing fantastical swatches of iron and steel. 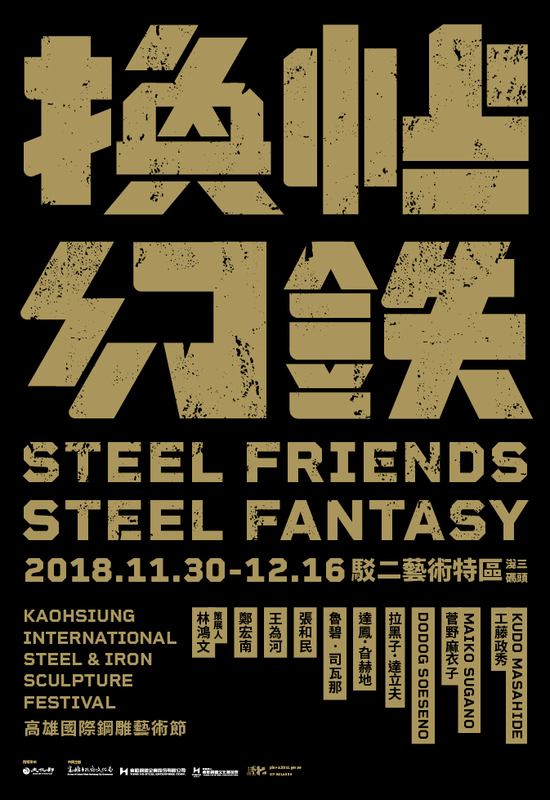 Under the 2018 theme of "Steel Friends, Steel Fantasy," artists from different countries and cultures, and working with completely different fields and materials, will incorporate geographical features and their unique methods into this site-specific art. Each artist represents a different school of thought, from each corner of the earth. Their ideas will converge, and techniques will be exchanged — a powerful creative force will be awakened by the waters of Pier-2. Visitors Today:149. All Time Visitors:1,229,956.